Your Child's Smile - Pediatric Dentistry at Waukee Dental. More information to come on our NEW Kids Club at Waukee Dental. Stay Tuned! How young is too young? The American Academy of Pediatric Dentistry recommends that children see a dentist as soon as the eruption of their first tooth, between 6 – 12 months. 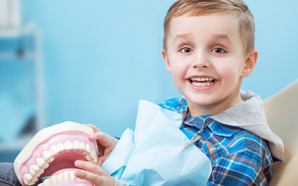 At Waukee Dental, you child’s first visit does not have to be a scary one. We will take our time and let your child be in control. We allow children to sit in the chair or on your lap … while watching cartoons! If they allow it, Dr. Brown will county their teeth and help them brush. We want the first visit to be a positive experience that leaves your child excited to return for their regular exam and cleanings. Prevention is key! 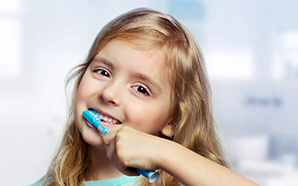 At your child’s dental visits, we will discuss proper diet and brushing techniques. We will discuss preventative treatments such as fluoride and dental sealants to help your child stay cavity free! Dental decay can start at a young age … that’s why early diagnosis and prevention treatment are important to your child’s oral health. A sealant is a thin coating applied to the chewing surface. It’s designed to prevent the intrusion of bacteria and other debris into the deep crevices on the tops of your teeth. Today, sealants are becoming widely effective and popular for your children because, in many cases, decay has not set in. 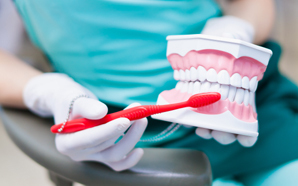 Even on teeth where decay is present, sealants have been shown to fight additional damage. Sealants usually need re-application every 5 – 10 years. There are specific situations where a child’s needs are better handled by specialists. Dr. Brown and her team work hand-in-hand with a number of specialists in the Des Moines Metro to make sure your child receives the best quality of care available. We understand the importance of oral heath to your child’s overall wellness and will treat each child like our own. Call use today to schedule a visit for your little one!